tucked-in-pajamas \(´▽`)/ : The recruitment: Story in becoming a HOTTEST. The recruitment: Story in becoming a HOTTEST. 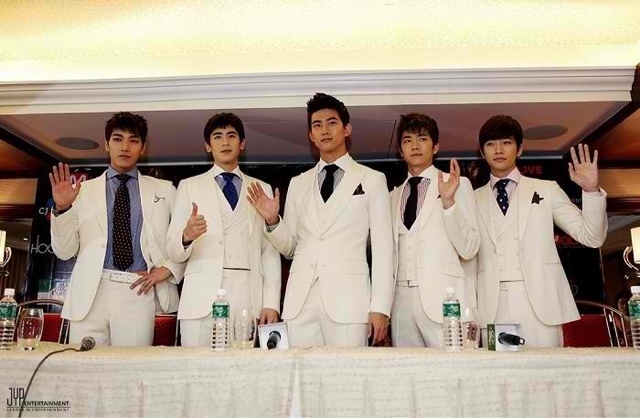 The defying hots all started when 2PM got a place in Japan's top ten most daebak concert by foreign artists for 2012. I got convinced easily since Big Bang got a place too which I followed by posting through my wall the blog which tells how hot they can further go with their live singing and thrilling stage presence. Wooohhh! And so I bought a ticket along with 3 more fan girls chingu on feb 11th but not knowing there is an ongoing promo that if tickets were sold online ticket holders will get the chance to be one of the 150 guests of the meet-and-greet on March 1!!! Snap. Of course this happens. And so I began searching for more promos available so I could get a VVIP standing tickets AT LEAST (nyahah!). I was overly disappointed with my ignorance there so I pursued stuffs like "LIKEing the hotel they'll be staying at, sharing the What Time Is It official logo and been acting like I don't care at all what others would think of me and when I say others it is my stalker abbonim (Tatay ko), by sharing a half-naked CHANSUNG!!! Agree?! I'm getting perverted all the way with that! And though I've already done this and that still I'm not yet that of a super fan. Yes, I'm not until I've learned that CHANSUNG, my babyker (because he cares) didn't go with the five other hottest on their land to NAIA at 10:55 am! Care to know why I care so much for him?!? Okie... Let me spazz a little. He's Agent Do Ha of 7th Grade Civil Servant! I like him with his bonnet on! And whenever I see his face on screen it makes me wanna scream (but in reality I just whisper) "Let's just make our own family Chansung-shi!!!" Ok. That was creepy. Going back, I've planned of going to the airport, secretly stalk them in Manila Hotel while sipping slowly my coffee probably but my fantasies remained as such since I had my over time for work. Aishhhh!!! That job that pays the rent why does it have to be part of the norm?!?! Moreover, I'm in my Big Bang shirt so the secret stalking and casually coffee drinking in this hot weather will never be seen like it. Hmp! Epic FAIL! (`▽´)-σ May CNblue/Suju/BigBang/GD pa~ KINCHANA! KINCHANA! KINCHANA! We'll do better next time!!! 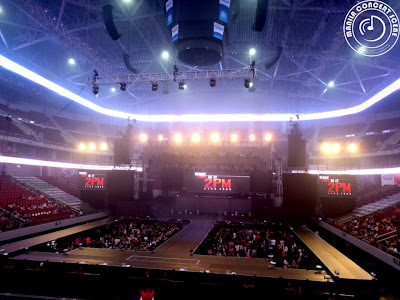 Anyway, I actually just knew about Hottest (2PM severe followers) a day before the concert after cramming to download and review 2PM's setlist and singing to Nickhun's song Let it Rain where he started it by saying "To the Hottest". Then thinking about it they're The Hottest but they get to call me just like themselves, HOTTEST?!? Hmnnnn... Now I'm getting used to this random fan girling. And as the concert comes I was in my hopeful state while seeing my co-hottests all over the place and so this led me to a silent prayer that please Lord let them enjoy during their stay and no notable empty spaces puhlease~ But as for their first time coming here it's not what I've hoped for rather its the expected one. I began tweeting Khunie, Jun K. and babyker Chansung that we're ready to party with them. And though its a disappointment for the people behind the event still we were all lucky enough to save 2500 for that. My Gen. Ad. 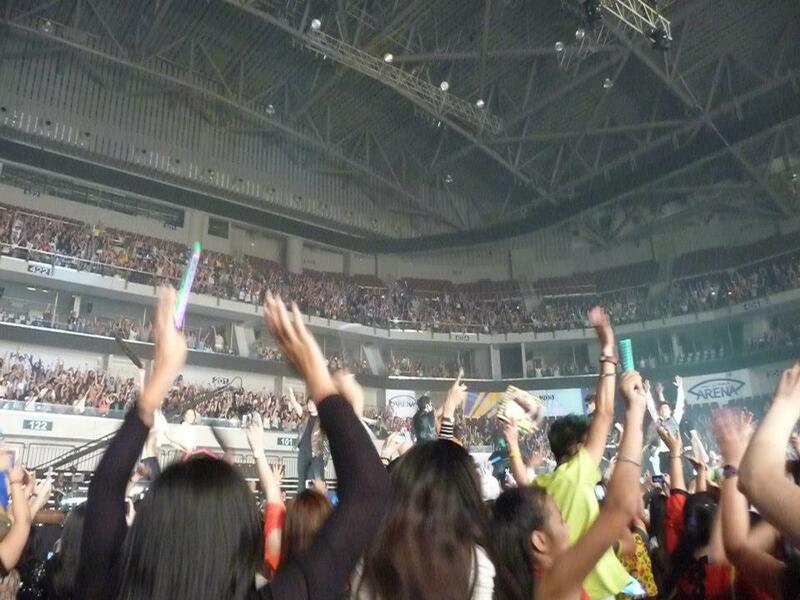 ticket became Upperbox for that sadden reason. And the following scene is for me to keep. Haha! At least for now. It's already 7:30 pm and no signs of them coming out but in my heart and also for the ones who lived out the fan mode in them knew that whatever happens we can't let them feel we're (hottest) half FULL. Kinchana!